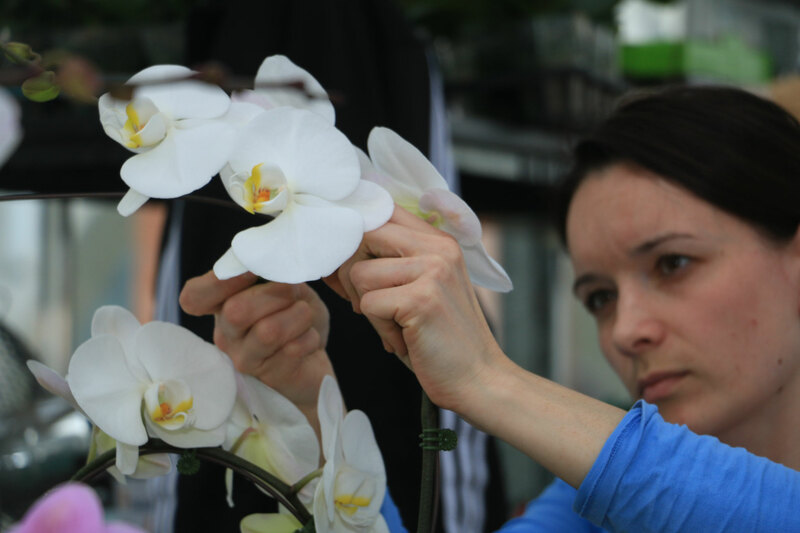 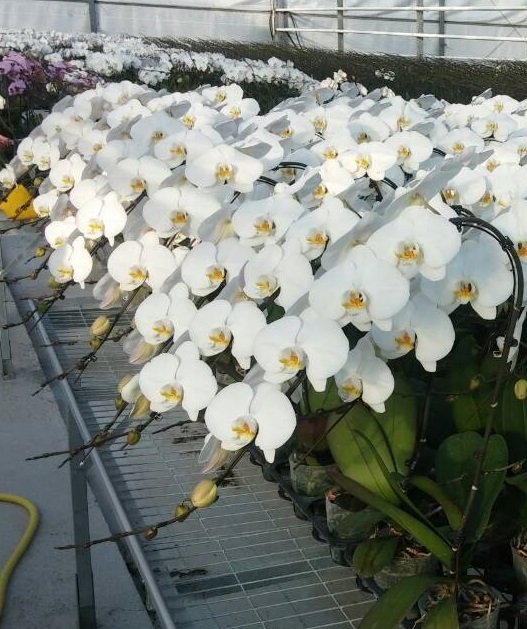 In our greenhouse located in the middle of Bourgogne, our orchid horticulturist team formed in France and Asia, work everyday to offer you orchids of a unique quality. 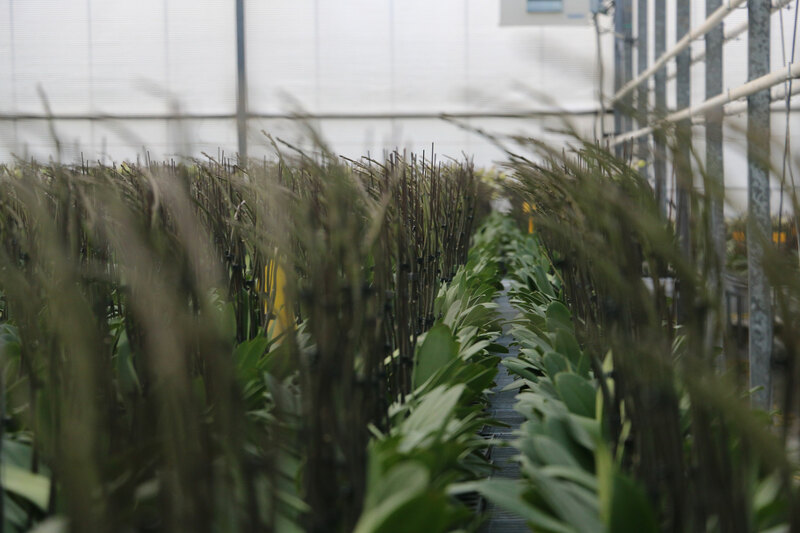 By favoring natural light and hand watering with rainwater, we adopt a precise and meticulous culture for a natural growth of our plants. 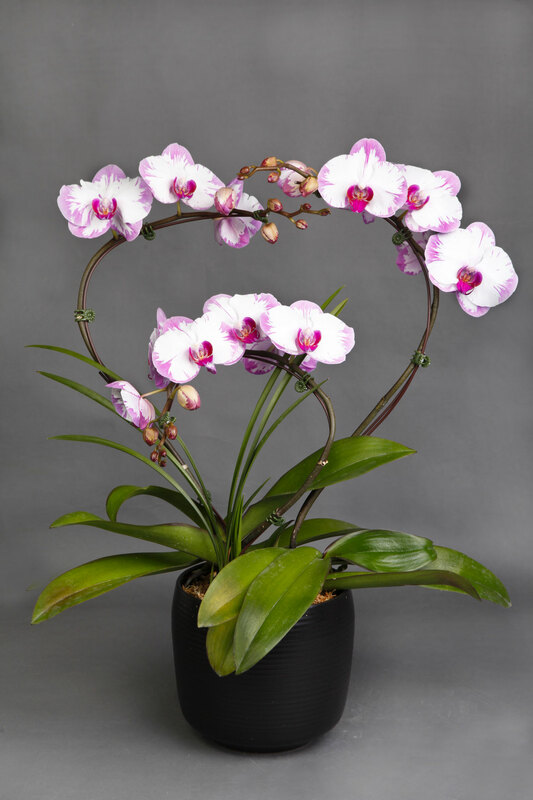 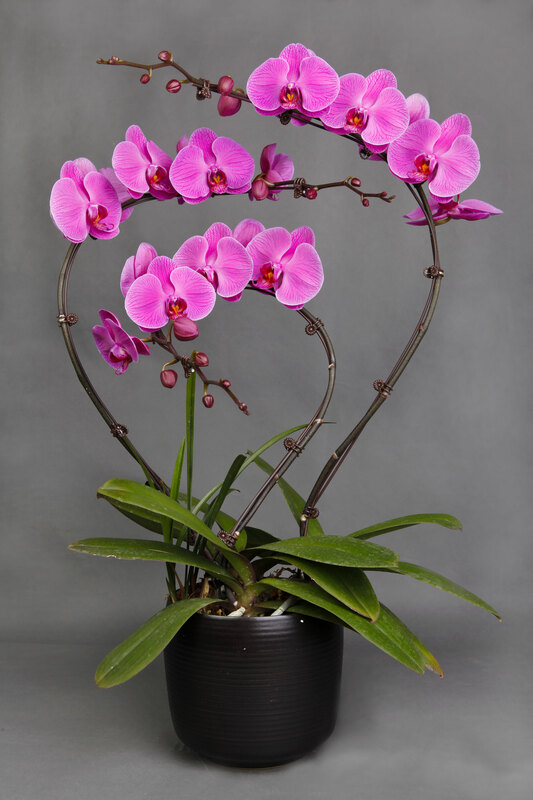 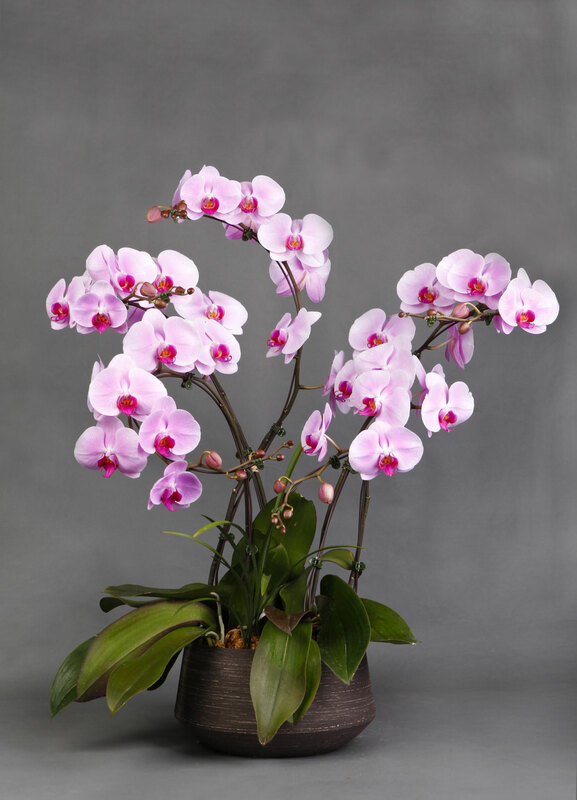 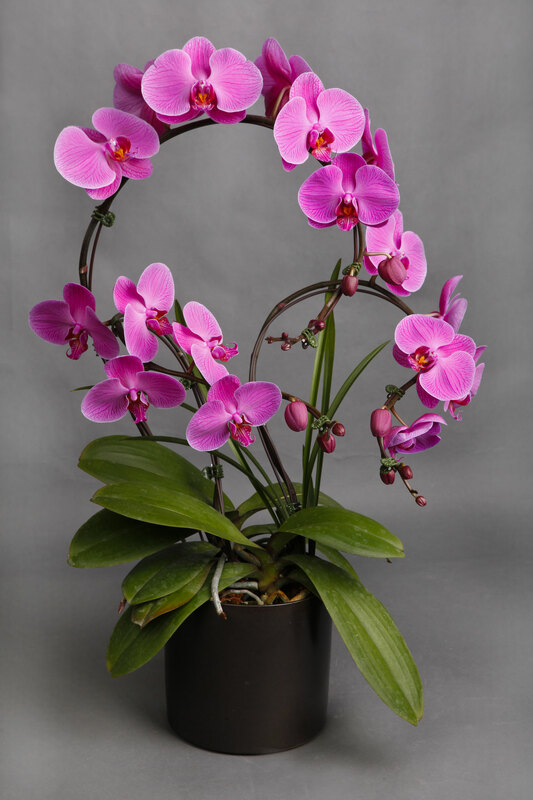 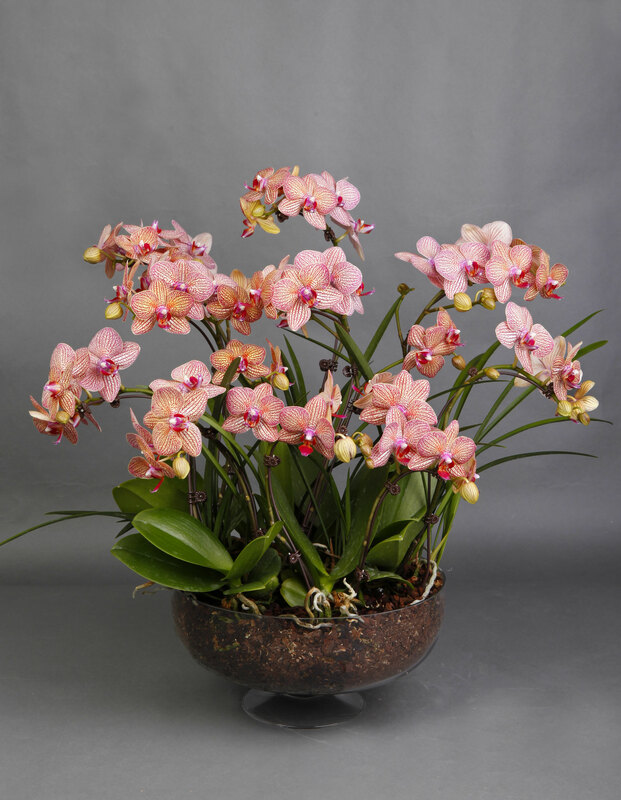 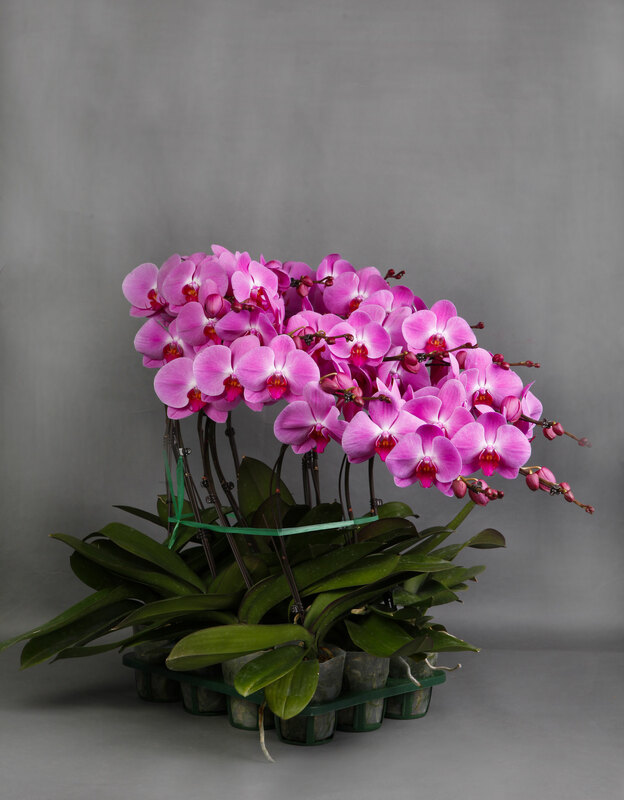 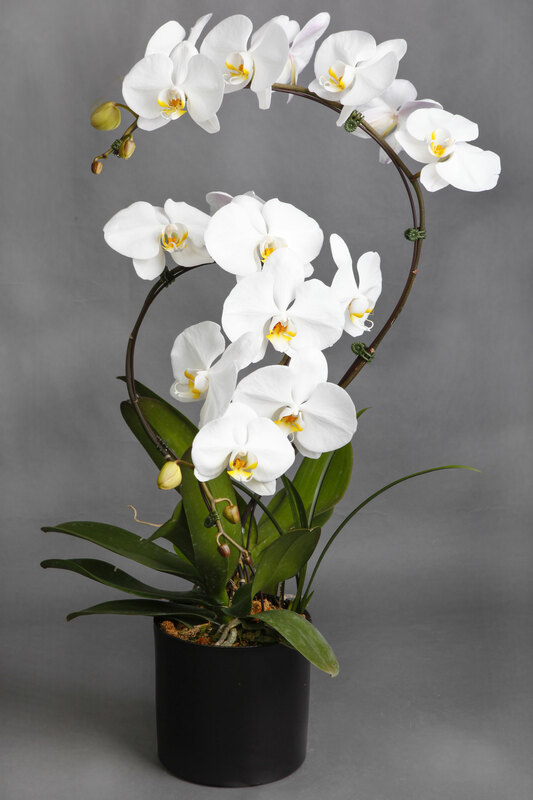 Once mature, our orchids bloom naturally, without the use of growth hormone, or blooming fertilizers, to guarantee an incomparable bloom time and flower size. 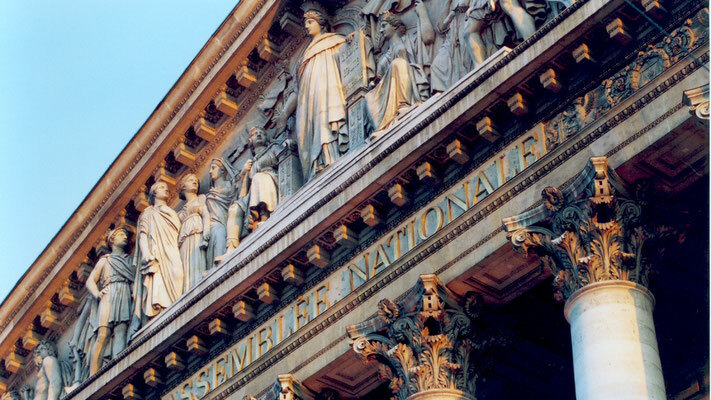 Just like the universe of haute couture, our stylists elaborate each season unique creations, in order to offer original and refined compositions, unpublished in France and in Europe. 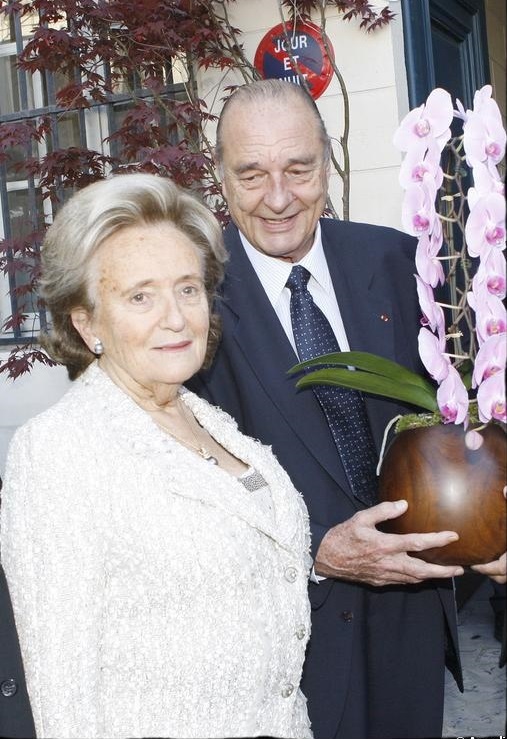 Fifteen years ago, the co-founder of ODP was the first producer to present the white orchid on the French market. 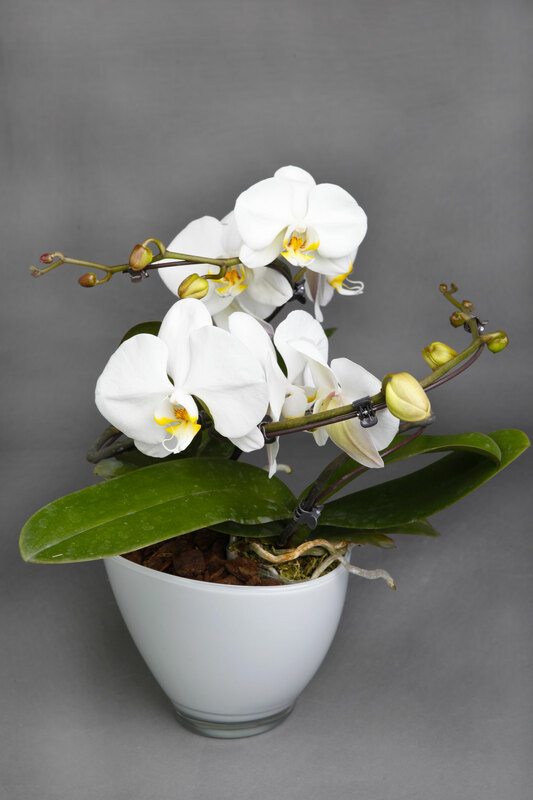 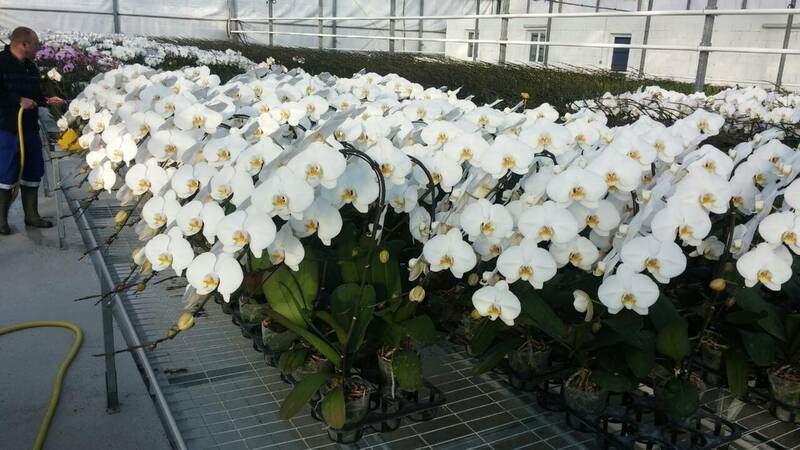 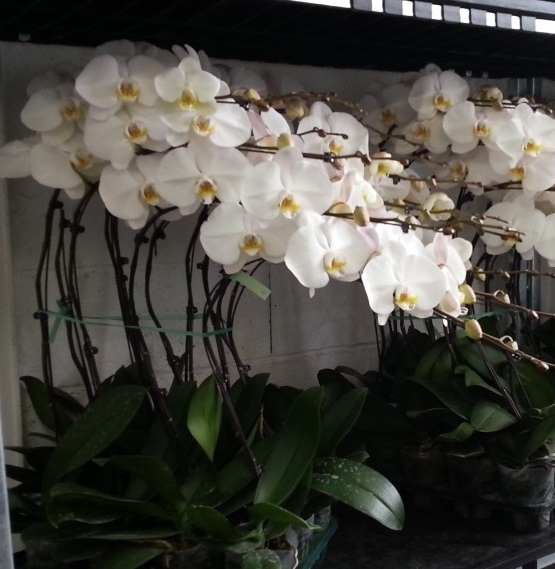 Since then, our white orchid has become the specialty of the company, a reference among the largest florists in France, who appreciate it for its size of flags, and its long shaft. 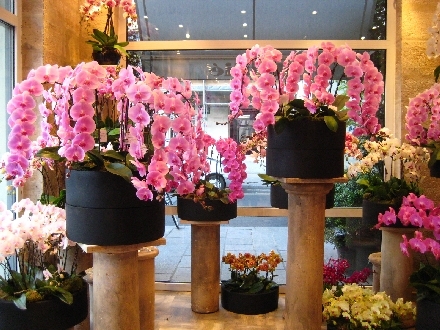 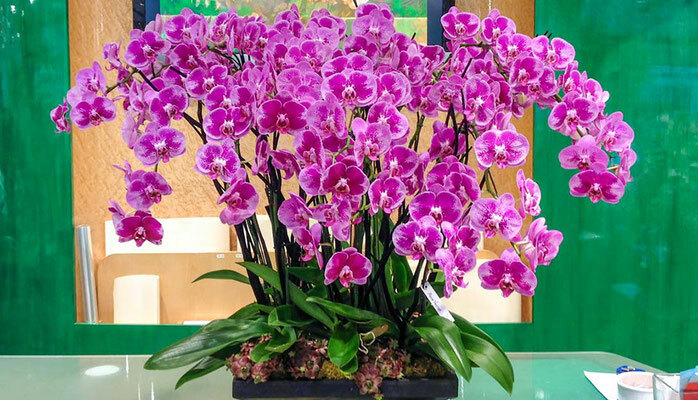 Thanks to its reputation for its exceptional orchid, Orchidées de Prestige is the main supplier of the largest international florist-decorators in the world. 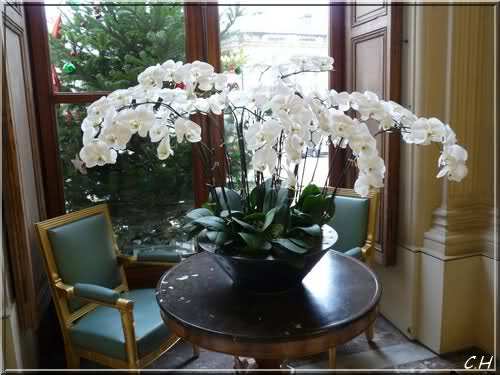 From weddings of celebrities to the greatest fashion shows, ODP orchids decorate the most prestigious events throughout France and abroad. 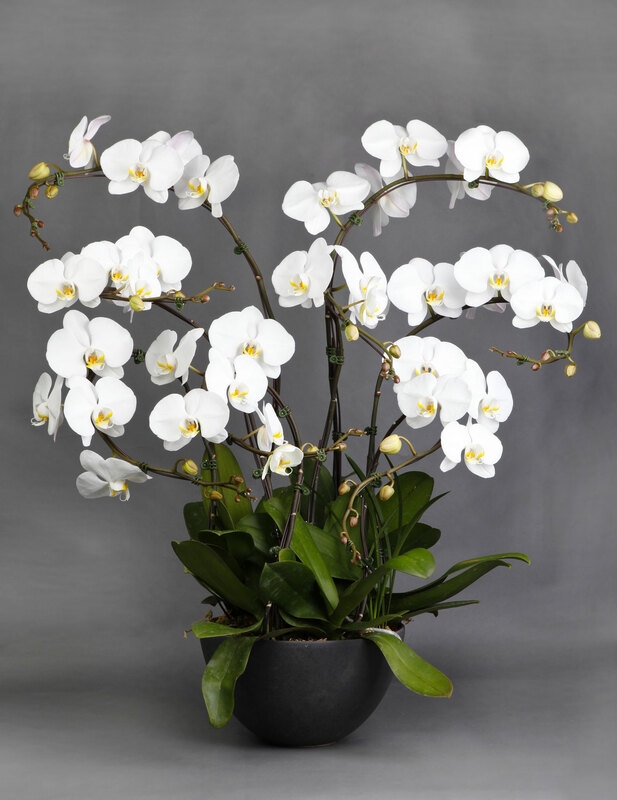 You will find these orchids in many residences of movie stars, politicians, foreign royal families as well as in the biggest Parisian palaces and luxury boutiques who use all these orchids to flower their interior and make the difference ! 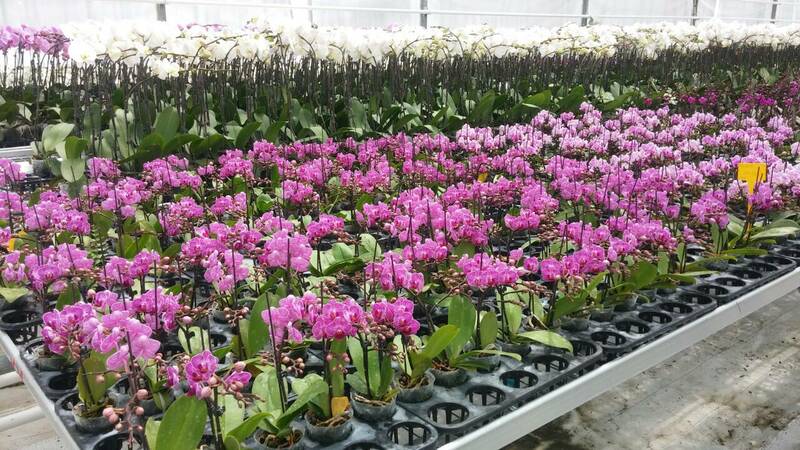 After conquering the French market, and working with the most demanding professionals, Orchidées de Prestige is now exporting its orchids to London, Luxembourg, and Switzerland to introduce into these markets our orchids of incomparable quality. 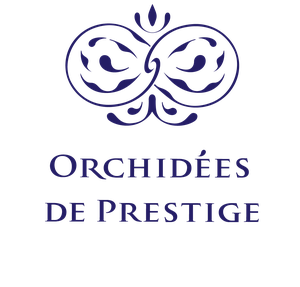 Orchidées de Prestige, creator of exceptional orchids, in France.